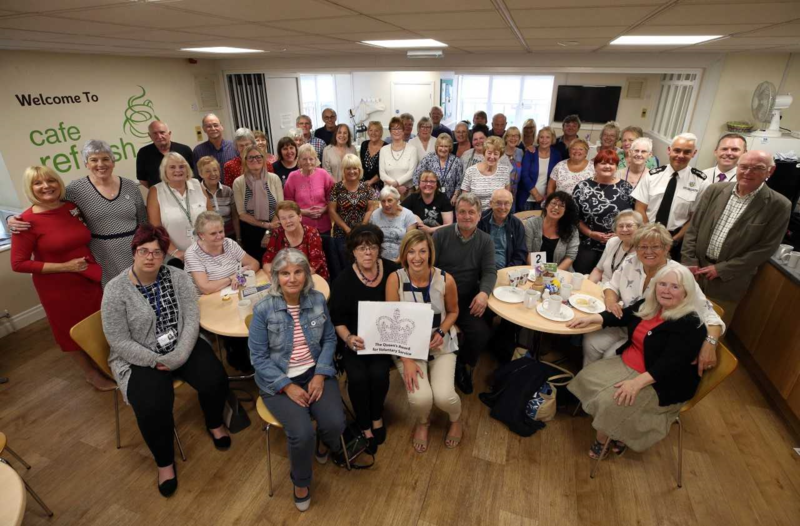 Small charities make a big contribution to wellbeing in local communities and as recent research has shown, they can be effective at supporting people who are hard to reach, hard to hear and hard to help than bigger charities or public sector organisations and agencies. 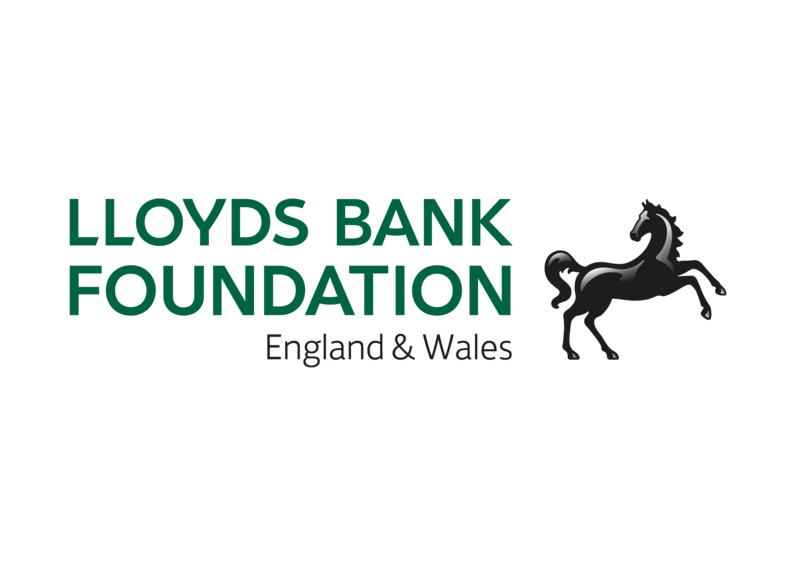 The Lloyds Bank Foundation ‘Grow’ project was devised to support small charities with income below £75,000 which were ineligible for support through the Foundation’s existing programmes. This research report explains how these charities responded to support offered to them by specialist consultants. There have been several initiatives in the past to help small charities to become stronger, bigger and more sustainable, and to encourage them work together to increase their impact. These are all ‘big asks’ and charities often resist attempts by outsiders to change them. But there is little good evidence to make sense of the ‘social processes’ involved in providing such support and explanations for how charities respond. 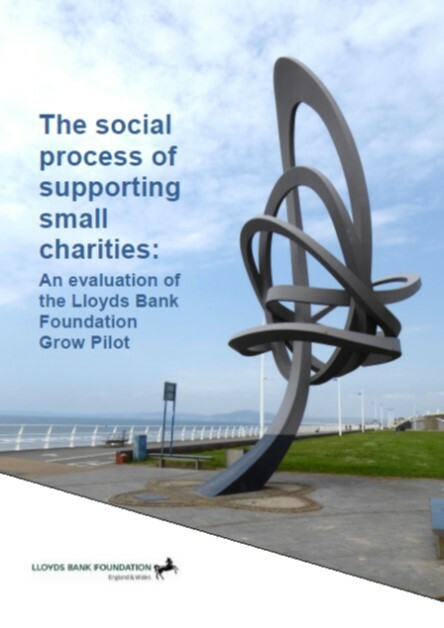 This report attempts to help fill that gap in our understanding by exploring how the culture and dynamics of small charities affects their readiness to embrace change, to accept support act upon advice in several areas of development which may be important for their future wellbeing. Small charities may lack structural complexity (unlike larger more formal organisations with a specialised division of labour and hierarchical command chains which are underpinned by bureaucratic principles and procedures) but this does not mean that their internal dynamics are simple. The analysis hinges upon a recognition that very small charities are much more complicated social entities than immediately meets the eye. Many young people in County Durham are not achieving as much as they should as they make their journey towards adulthood. While much support is lent to young people to achieve their potential, it falls unevenly – too often being focused upon those who already have many advantages. Recognising that this was unacceptable, Durham County Council commissioned this research via the Institute for Local Governance in 2016 to start a debate in the County on how to achieve more for young people from less advantaged backgrounds. 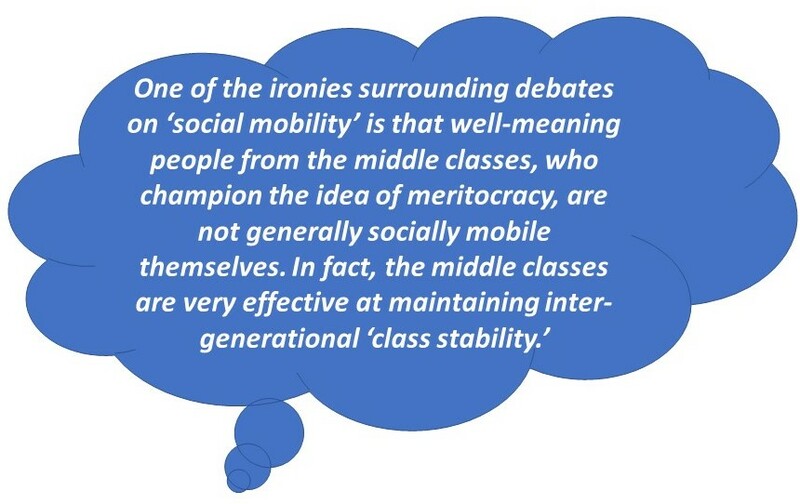 There is widespread belief in the UK that young people from less-advantaged backgrounds are less likely to make successful transitions to adult life because they lack aspiration and ambition. Over-simplified explanations such as these are readily backed up with examples, garnered from observation and experience, which serve to reinforce falsehoods. With sufficient repetition these falsehoods start to ring true. To instigate discussion across all sectors, this study was undertaken to hold up a mirror to County Durham, and ask policy makers and practitioners to look again at the situation of young people and challenge popular narratives about young people’s presumed lack of aspiration and ambition. Policy makers and practitioners are encouraged to consider critically the differences between ‘aspiration’ and ‘ambition’; ‘attitudes’ and ‘behaviours’; ‘attainment’ and ‘achievement’, and most crucially, ask questions about what constitutes ‘success in life’ for young people from different starting points. By doing so, it is hoped that organisations in the education, public, private and voluntary sectors will be able to focus their resources individually or in complementary ways on those young people who are most in need of support. Professor Tony Chapman, Dr Tanya Gray, Dr Stephanie Rich and Paul Braidford were commissioned by the Institute for Local Governance to undertake a project on young people’s ambitions and aspirations in County Durham. 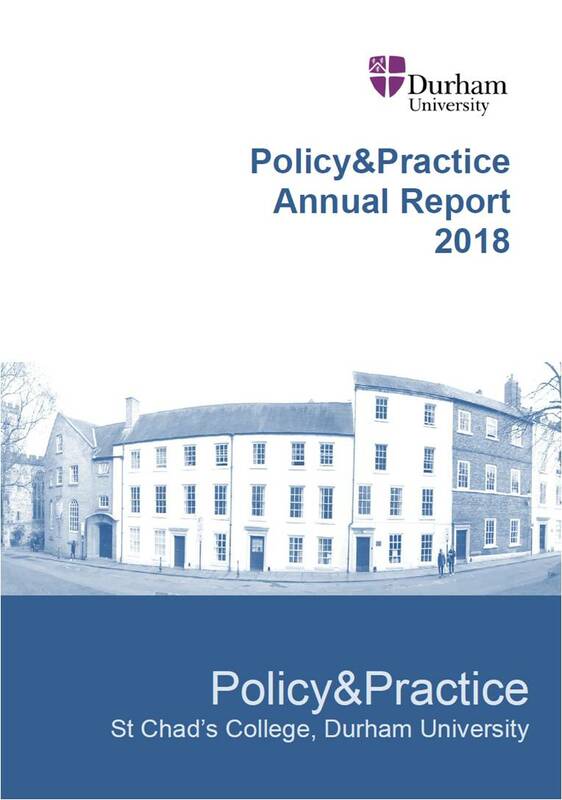 The report was launched on 29th March 2019 at an event at Bishop Auckland Town Hall which was opened by the Bishop of Durham, the Right Reverend Paul Butler. A seminar will take place at Bishop Auckland Town Hall, DL14 7NP, between 1.00pm and 4.30pm on Friday 29th March 2019, where policy makers, practitioners and young people will be asked to consider the differences between aspiration and ambition; attainment and achievement, and ask questions about what constitutes ‘success in life’ for young people from different starting points. The Bishop of Durham, the Rt Revd. Paul Butler will open the event by setting the scene. This seminar is needed because many young people in County Durham are not achieving as much as they should while they make their journey towards adulthood. While much support is available to young people to achieve their potential, it falls unevenly and a lack of support is often more common in less affluent communities. The County Durham Children and Families Partnership, County Durham Economic Partnership and the Institute for Local Governance, who are jointly hosting the event recognise that the aspirations and ambitions of our young people are vital for our communities’ success, whilst acknowledging the challenges and barriers our young people continue to face. Recognising these challenges, both the County Durham Children and Families Partnership and the County Durham Economic Partnership commissioned research via the Institute of Local Governance, to start a debate in Durham on how to achieve more for young people from less advantaged backgrounds. The research was led by Professor Tony Chapman, Director of Policy&Practice at St Chad’s College, Durham University. A summary report of the research can be downloaded here: Tackling barriers to young people’s aspirations and ambitions in County Durham SUMMARY REPORT March 2019 The full report will be published on the day of the conference. To instigate discussion across all sectors and with our young people, this research holds up a mirror to County Durham, and asks partners to look again at the situation of young people and challenge popular narratives about young peoples presumed lack of aspiration and ambition. By doing so, it is hoped that organisations will be able to focus their resources individually, or in complementary ways, on those young people who are most in need of support. Whatever happened to the North East? A new academic article by Professors Keith Shaw (Northumbria University) and Fred Robinson (Policy&Practice) shows that governance in the English regions has been undermined and weakened by recent structural changes. Although well established during the New Labour era, the regional level of governance in England did not survive the post-2010 process of institutional churn shaped by economic austerity and central government’s aversion to the regional level. This has subsequently led to rescaling to the sub-regional level and the introduction of devolution ‘deals’ involving new combined authorities with elected mayors. This article looks at the experience of North East England, where regional structures have been broken up and the region disempowered by such changes. It reviews what has happened to governance in the North East over the past 20 years and discusses why the dismantling of regional governance matters. While the region’s external relationships with central government are problematic, it is also argued that governance problems within the region are no less important and need reforming. 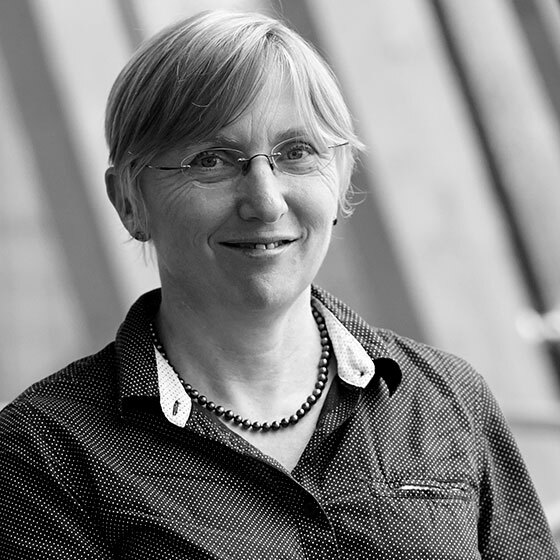 Longitudinal research indicates that organisations providing public services in the North East have continued to be characterised by inadequate accountability, unrepresentative governance and lack of transparency. The combined effects of the devolutionary consequences of Brexit and the ineffectiveness of small-scale ‘devo-deal’ interventions mean that the ‘Regionalist case’ in England will need to be refashioned and restated. The article concludes by considering the case for reintroducing regional-level governance and points to ways of bolstering the accountability and effectiveness of this level of sub-national governance. Shaw, K. and Robinson F. (2019) ‘Whatever happened to the North East? Reflections on the end of regionalism in England’, Local Economy 33(8): 842-861. The Value of Volunteering in the North. 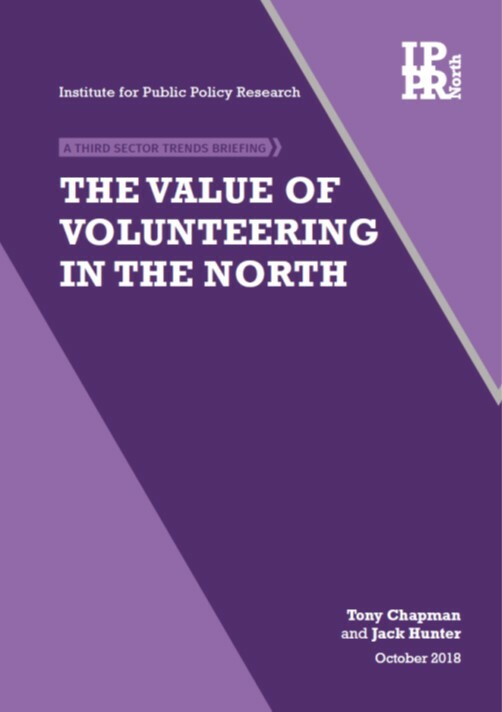 Today IPPR North publishes a new report on volunteering in Northern England by Professor Tony Chapman, Policy&Practice and Jack Hunter, Senior Researcher at the Institute for Public Policy Research. 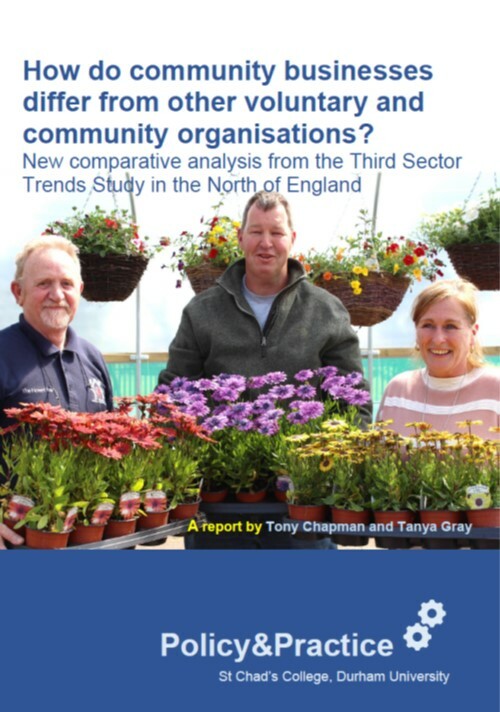 Based on research findings from the Third Sector Trends study, the report recognises that the volume of voluntary activity in the north is enormous – about 930,000 people regularly volunteer and deliver over 76m hours of work. The bulk of volunteering is organised through the tiny charities and groups. Those with income below £10,000 produce about a third of all volunteering opportunities, and over two thirds of volunteering hours happen in small organisations with an annual income below £100,000. The report shows that It’s not just about the volume of time that volunteers give, it’s about the ‘quality’ of their contribution and the ‘depth’ of the social impact it achieves. The bedrock of civil society is its core of small and informal groups where people have come together to make a difference to their local areas. Most of these organisations have no employees and their financial resources are often very limited. But they survive and thrive because of the hours of work put in by their unpaid volunteers. Policy makers are urged to recognise that it can be difficult to assess in conventional evaluation terms the impact of small charities that work with and rely upon volunteers the most. But just because it is hard to measure their contribution does not mean that it should not be valued – so national and local funders need to keep this in mind when allocating money to local charities – they may not be able to measure the impact of what they do – but they would, like as not, be able to recognise the loss to the locality if they were no longer there. How do community businesses compare with other voluntary and community organisations? People are often confused by the complexity of civil society. For example there are so many ways of describing what is sometimes known as the ‘third sector’, ‘voluntary, community and social enterprise sector’ or ‘civil society sector’. This problem is compounded when we try to define specific types of organisations. Community business is a case in point: how are these organisations defined, and how do they differ from others such as social enterprises or community or voluntary organisations? This new report looks at where community businesses sit within this wide range of organisational types and draws a distinction between them and other third sector organisations (TSOs) which engage in trading or those which have no reliance on earned income. to the report helps readers to recognise what is special about community businesses, how they contribute directly to their localities and what opportunities and challenges they face compared with other types of TSO. The report presents data from the 2016 Third Sector Trends study which covers the whole of the North of England. It is a large long-running study with more than 3,500 responses of which 612 survey respondents (17% of the sample) were identified as community businesses. As a category of organisations, community businesses tend to be larger than other TSOs (60% have income over £100,000 compared with just 27% of general charities that earn some of their income). They tend to have been established more recently (47% since 2000 compared with 35% of general charities that earn income). Community businesses are more likely to work in urban areas, and particularly deprived urban areas.